Picking the best paint colors to use in your kitchen can get confusing. Some experts say when it comes to home value, you should stick to neutral shades. While others state if you are looking to add personality to your space, splashy hues are the way to go. We are here to say it is OK to follow your heart because it is your kitchen after all. To help you pick the best color scheme for your cooking space, here are 28 perfect paint colors and ideas to consider. Whether you heart it or hate, it is hardly a big secret that the color pink is one of the hues of the moment. So of course, there is a resurgence of pink kitchens. But we are not talking about spaces overloaded with the favorite shade. This ​cooking space by Colombo and Serboli Architecture gets it right with a single pink wall. The apple green shutter adds a pop of colorful contrast. This small monochromatic kitchen by Gleba and Stoermer gives us the happy feels. Combing an energizing shade of red with simple flat front cabinetry created a vibrant and thoroughly modern cooking space. 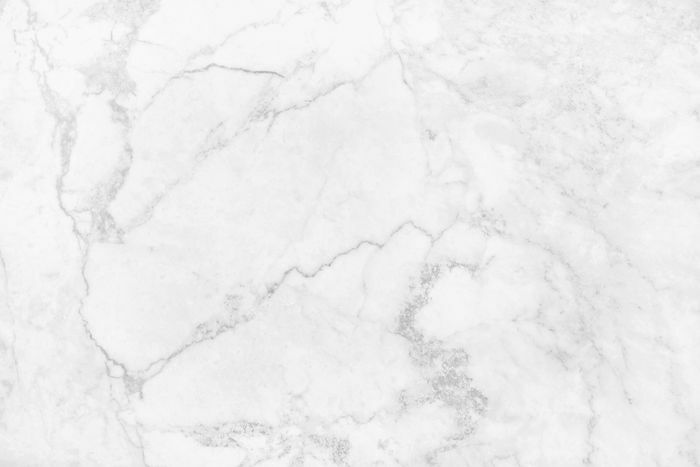 If you are concerned about enduring style, a classic white kitchen will stand the test of time. To spice things up, add a few natural elements that will warm up your space. In this white, modern farmhouse kitchen by Holly Mathis Interiors wood shelving and a rattan window shade adds visual interest. A gray kitchen island brings a little depth. Some bright kitchen colors are timeless because of their retro appeal. An old favorite is apple green as shown in this cooking space by JAS Design Build. The hue has a springlike vibe that brings out the beauty of the wood flooring. We cannot think of a happier hue than yellow. Here the team at Alys Designs uses a lemony fresh version of the shade to brighten up vintage kitchen cabinets. Covering the walls and floors with pale hardwood balances the striking paint color. Cobalt blue cabinetry punches up this cottage kitchen by Meriwether Inc. Even the fridge got a colorful boost with a custom painted cabinet panel. We fell in love with hunter green when this gorgeous kitchen by Black Lacquer Design grabbed our attention. Combining the earthy shade with gold fixtures and a white backsplash created a sophisticated cooking space that feels both warm and welcoming. A kitchen island painted a shade called Sedona clay perks up a traditional white kitchen by Vidal Design Collaborative. The colorful island beautifully matches the geometric, tile backsplash. Isabelle McAllister used a bright shade of medium blue paint to spruce up her kitchen cabinets. For a bit of contrast, she added charcoal gray cabinet pulls. Show your true colors by taking your kitchen to the next level with this Mondrian inspired idea by Ande Bunbury Architects. The company used different hues of paint to turn old cabinets into eye-popping storage. The color green is everywhere for a good reason. From plants to Pantone's top hue for 2017, green is both a timeless and energizing hue that can make any space in your abode more inviting. In this drool-worthy cooking space by Brett Mickan Interior Design, a dusty green is color blocked with a steely shade of blue. A tiny splash of color can make a huge difference. In this home decorated by Laura Burleson Interiors, light fixtures dipped in pink paint personalize a traditional white kitchen. We have all seen those bold, blue kitchens with navy cabinetry. But we bet softer hues of blue will soon be all the rage. Case in point, this two-tone cooking space by The Shaker Kitchen. If you crave color behold this mustard yellow kitchen by Jas Design Build. Painting the kitchen island a pale shade of blue anchors the cooking space. The warm, wood countertops in this cooking space spotted on Sojournal work beautifully with the mint green cabinetry, which was factory painted. Dark walls can add drama to a kitchen when combined with light furnishing. The black wall and white island in this cooking space by The Vawdrey House has a beautifully stunning effect, which makes the room appear bigger. If your kitchen backsplash is just a plain wall, listen up. As shown in the condo remodeled by Kingstone Builders, a bright coat of paint will make it feel special. After we saw this kitchen by Black Lacquer Design, sea glass green became one of our favorite neutral paint colors. When it comes to kitchens, the watery hue feels more modern than light gray or creamy white. Violet is Pantone's color of the year for 2018, so you can expect to see the shade popping everywhere in homes including the kitchen. Here the color steals the show in a two-tone cooking space by Lewis Alderson. The striking hue contrasts beautifully with the mocha walls, wood cabinetry, and navy floor tile. This vibrant and custom kitchen by Williams Ridout combines wood cabinet fronts with olive, green paint. For contrast, the sparkly backsplash and stainless steel countertop bring on the shine. Teal is a timeless paint color that seems to work with both cool and warm shades. 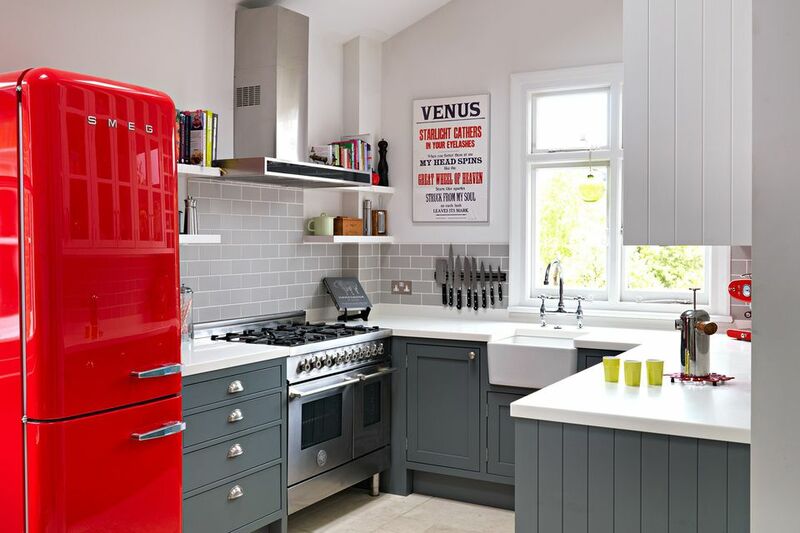 In this quirky cooking space by Devol Kitchens, the hue brings a retro twist to the table. A bright pop of lime green invigorates this classic black and white kitchen by Kropat Interior Design. We adore this idea because only several features are in the bold shade. So when it is time for a change, painting them a new color will not be a big deal. Create the tranquil kitchen of your dreams by painting your cabinets a soothing shade of bluish, light gray. When building this cooking space for a family of foodies, JAS Design Build selected a hue called tidewater for its calming effects. Paint can perk up an old kitchen without the hassle or expensive that comes with remodeling. Our favorite example is this cooking space in a Brooklyn apartment decorated by Chad McPhail Design. A fresh lick of turquoise color enlivens the walls and cabinetry. Playing it safe with a neutral wall color in your kitchen does not have to feel dull. To kick these gray painted walls up a notch, Godrich Interiors layered on texture. The glossy subway tiles and sparkly countertops bring on the shine. The wood cabinetry boosts visual interest. Topping it all off are pendants lights with contrasting cord colors. Add an unexpected burst of upbeat color to your cooking space with ceiling paint. Gel paint, which drips less than other types of interior paint brightened the ceiling in this white kitchen by Tara Seawright Interior Design. When painting your kitchen cabinets a spanking new shade, consider this tip from the design team at To Do Something. If you are looking to hide dings and other defects use a flat, matt paint. Unlike glossy options, it makes surface imperfections less noticeable because it does not reflect light directly. In this kitchen, painted maple cabinets and black walnut wood accents are a winning combination. Mini, black subway tile adds shine. This adorable, small kitchen by Williams Ridout combines timeless paint colors with bright appliances to create a vintage-inspired space brimming with enduring style. The walls are a shade called decorators white. The cabinets got a lick of dark pewter paint. The shiny, red fridge and matching espresso machine enliven the space.